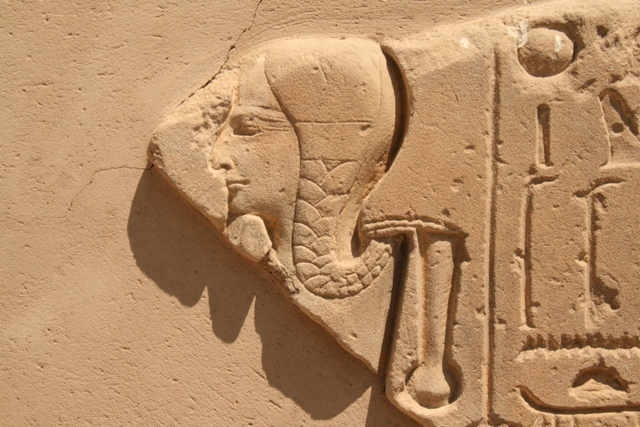 Hair and Death in Ancient Egypt. First Summary. 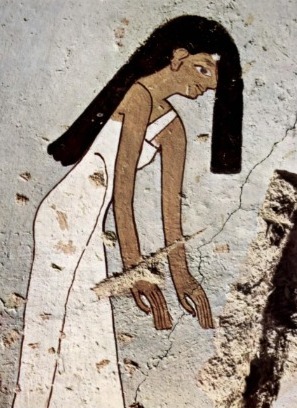 Mourners in Ancient Egypt made two gestures: Nwn: to cover their faces with their hair sm3 (in some cases is Snw) and nwn m: to pull their front lock of hair swt. Both are a way of showing despair and sadness. The hair over the face symbolized the darkness of the death into which the dead is sunk; it remembered the chaos in the primeval state of creation, so the Nwn gesture symbolized the Nun, the primeval waters. 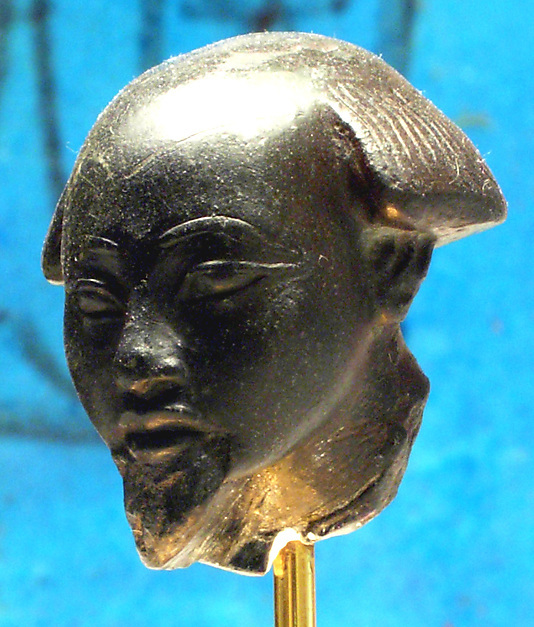 Egyptians assimilated the hair sm3 to vital elements as breath, vegetation and water. So, to give the hair sm3 with the nwn gesture was a propitiatory practice, the hair became an instrument for sending vital energy to the deceased. The heir was an important figure for the deceased’s resurrection in Ancient Egypt belief. As in the Osirian myth, Horus was the avenger who restored the cosmic order. For that reason the dead had to get again his virility. The nwn gesture in funerals could be a way of symbolizing the mythical copulation through which Osiris recovered his virility and Isis could conceive Horus. 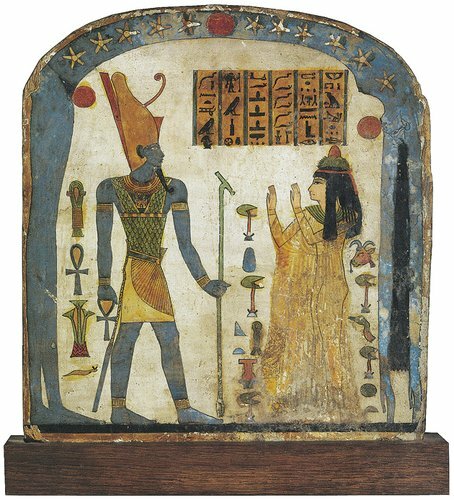 The deceased, as Osiris and as a reborn, became Nut’s son. This goddess also made in the mythic sphere the nwn gesture. In funerary ceremony, the nwn gesture that the mourners made with the hair would remember the posture of Nut, as sky goddess, when bearing Osiris. 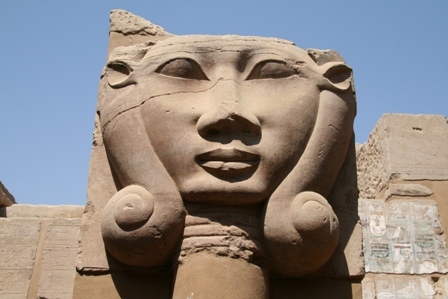 The deceased was welcome to the Hereafter by Hathor, lunar goddess whose face is flanked by the two ringlets wprty. When she received the dead one these two ringlets opened and let see her face; that symbolized to see the light of the full moon in the night sky and it was the culmination of the lunar resurrection for the deceased, in the same way the full moon in the Osiris myth meant the resurrection of the god. Egyptians identified the plaits Hnskt with lunar elements as horns (an image of the crescent) and snakes (which regenerates regularly), and also helped in that lunar resurrection. The lock of hair s3mt seems to be also identified with the first moments of life and the childhood of the moon (it would be the side lock of children), so it was as well an element for contributing to the lunar resurrection of the dead. It also seems to have a negative aspect, since it was maybe identified with the evil which threats the dead one and which suffers an ablation for allowing the deceased to get back to life.